I have been meaning to write this post for ages and got round to it this week. 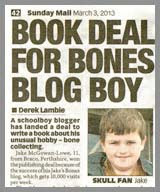 I have loads of bone books, and I'm going to write about five of them today. There aren't in any particular order, and I have got other ones I will write about later. 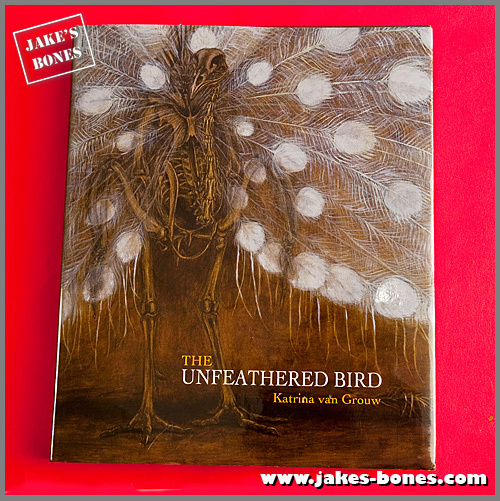 I haven't yet found a perfect bone book (although my book is looking pretty amazing so far and comes out in March 2014 !) but all of these are worth buying. 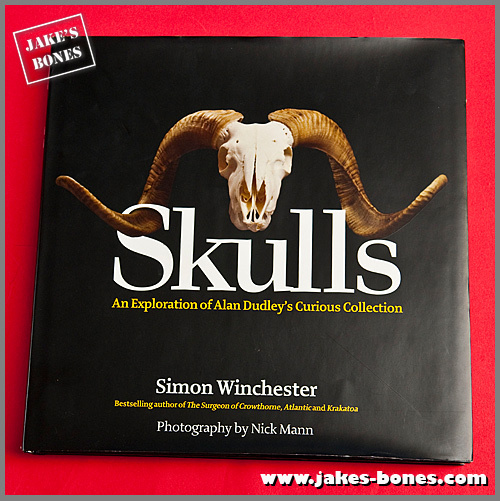 "Skulls: An exploration of Alan Dudley's Curious Collection"
Hardback, 255 pages, colour photos. I got this book as a present from my Grandma and Grandad for my birthday last year just when it came out. 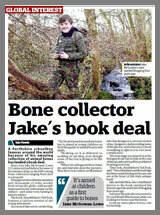 It about the bone collection of a man called Alan Dudley who had collected 2,000 skulls over five decades. 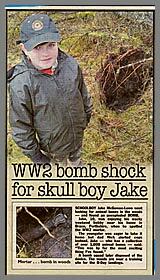 Mr Dudley first came into the news when he was arrested and fined under CITES for having some skulls without the proper licence. This book is amazing, especially as one man collected it all. Each skull is photographed really well, and it has lots of detail about the animals they came from. 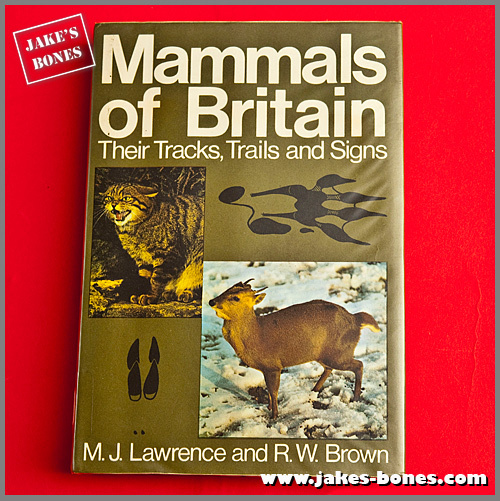 "Mammals of Britain: Their Tracks, Trails and Signs"
Hardback, 297 pages, mainly black and white drawings and photos. Not in print. I bought mine for 1p ! 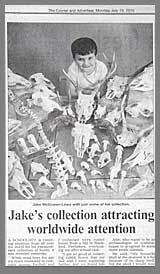 This was recommended by bone collector Ric Morris and by Perth Museum when I visited. It is an old book first published in 1967 but that's okay because animals don't change much. It is out-of-print so I bought it secondhand from Amazon for 1p and £2.80 postage. This is extremely detailed about UK animal skulls with details about teeth and comparisons from everything from horses to water shrews. 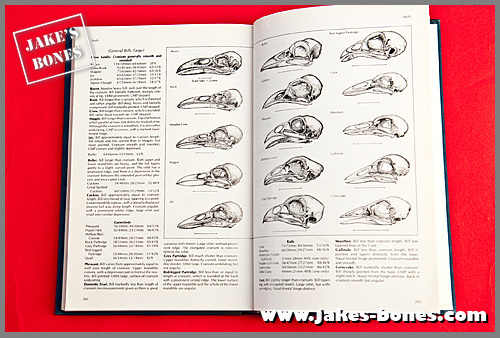 I think it is one of the best and most detailed reference guides you can get. It even shows footprints and poo. 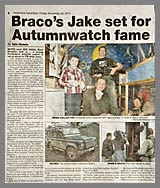 On the Jake's Bones Facebook page Ric Morris added: "There are two editions of 'Mammals of Britain their Tracks Trails and Signs' - the orange cover (first edition 1967) and the green cover (second edition 1973) - There are a very few drawings (of weasel, stoat, polecat and pine marten skulls) which are much better in the first edition than the second. However if you buy only one, buy the second edition as the first edition is mostly limited to bone material that comes from owl pellets and the second has artiodactyls, marine mammals, otter fox and badger, etc." What I liked best: The comparisons of limb bones from different animals showing shapes and sizes. What age group is it aimed at: I would say 9+. Some is complicated, like dental formulas. Where to buy it: You'll need to find it secondhand. I found mine on Amazon. 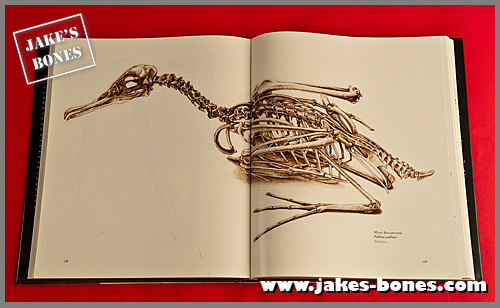 What I liked best: The whole bird skeletons. What age group is it aimed at: The text is really for grown ups, the pictures are good for everyone but very young children. Where to buy it: It's in print and just out, so order it from your local bookshop. Don't buy from Amazon unless you have to, they don't pay tax in the UK. Hardback, 232 pages, black and white drawings, mostly. I've lost the dustcover so this is just the spine. 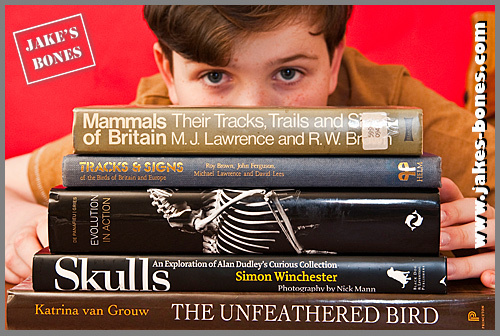 Two of its authors are the same as "Mammals of Britain". 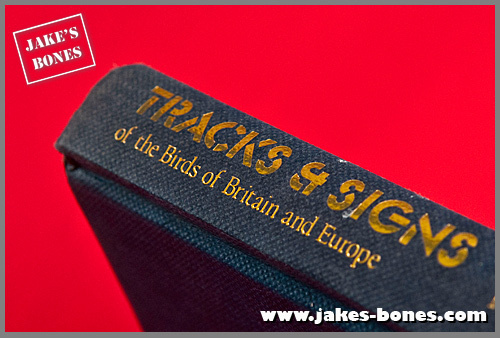 If you're a bone collector it's worth buying for just one chapter, chapter 9, which describes almost every bird skull in the UK and is really good for identification. The other chapters have some interesting bits, like owl pellets and bird footprints but a lot of stuff that I would probably never ever use. What age group is it aimed at: It's aimed at adults and not beginners, but I found it okay. Where to buy it: It's in print so order it from your local bookshop. This book is really about the amazing photographs. The text is by Jean-Baptiste de Panafieu. Dad bought me this book as a gift. 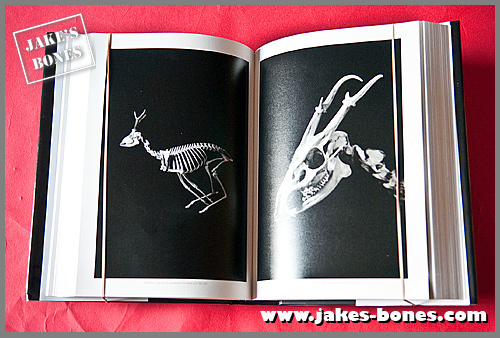 The book has 200 amazing black and white photographs showing the white skeletons on a black background from a human to a horse. The skeletons look fantastic and clear, and would help with rearticulations, and there are no signs of how the skeletons were held up. 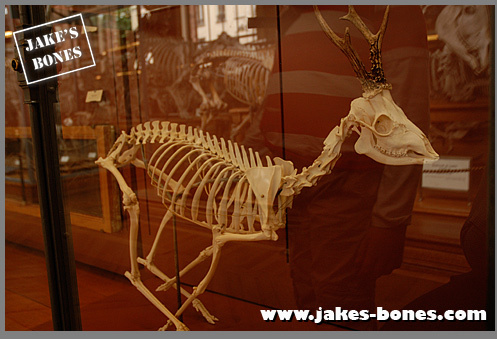 What I liked best: How the whole skeletons were positioned was very accurate and lifelike. What age group is it aimed at: The text is quite hard for kids but the pictures are for everyone. It is quite a heavy book. Where to buy it: Order it from your local bookshop if you can, but Amazon have some secondhand. I've got lots more books I will write about some other time, but let me know in the comments if you think there are any great bone books I need to know about ! Oh man, I just ordered stuff from Amazon (need to, live in Sweden) like a few hours ago. But now I want that skull book! Oh well, I'll put it on my wishlist. 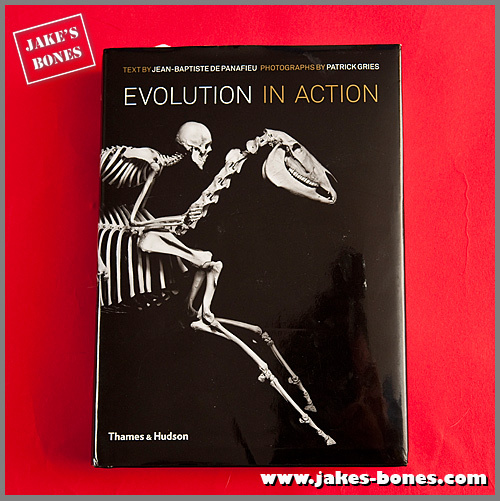 Actually got the Evolution in Action book for Christmas. It's so gorgeous! Mammals of Britain is really good and detailed. And thanks ! It's a great book, there's nothing quite like it. 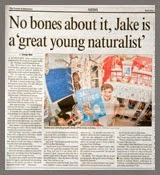 It's amazing how many english written books about bones and skulls you can buy. Such books written in german are difficult to get, thats sad. I think my english isn't that bad, but to read english books (I did it before) isn't easy at all. Funnily enough, when I studied zooarchaeology (in Sweden) one of our go to books for reference in the classroom was in German! At least mostly what I needed was in Latin, just had to figure out which animal the skull was from (at least now I know what the word for bovine in German). But yeah... at least there's one really good one out there! Quite complicated though. The good news is that my book is going to be worldwide, so there should be a German version ! 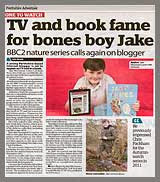 Hey Psy, if you are a student of zooarchaeology you should try to get hold of another bones book I recommended to Jake - it's called Bones for the Archaeologist by I W Cornwell. It's out of print now but there are a few copies on abebooks.com. I've got that one too ! A German version would be cool! 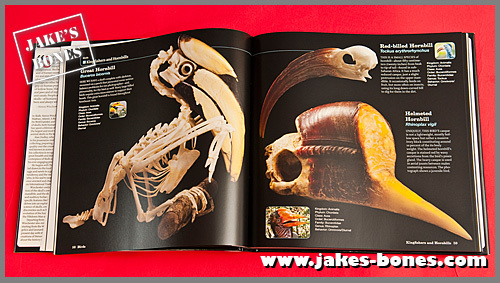 There are also several books on bird bones that focus on identifying closely related species, such as corvids, duck, pigeons, fowl etc. They are of course not so necessary if you have an entire carcass still with fur or feathers on, but they are very good for single bones. Schmid's book covers cattle, horse, sheep, pig, deer, dog, bear, beaver, hare and human, whereas Hillson covers cattle, horse, sheep, pig, red deer, roe deer, dog, cat and human. Personally I find Schmid's drawings better, so it's worth having a search for the book in secondhand book sellers. Thanks, I'll look those up ! 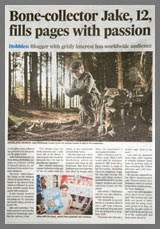 Think i will be buying a copy of your book when it comes out, should be a great read. 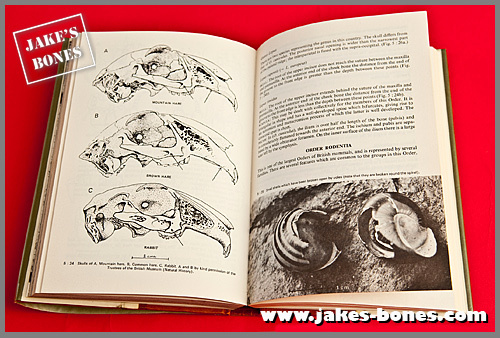 I'd like to suggest another good book: "A Key-Guide to Mammal Skulls and Lower Jaws" by Aryan I. Roest. It's focused on identifying skulls and jaws by a simple comparison. It starts by asking how big the skull/jawbone is, then tells you to go to a different section for each size. I was able to identify a single lower jaw with it; turns out it was a wood rat. Thanks, I'll check it out ! These are awesome books. I'll have to find North American equivalents to the British books, or maybe I'll just read both! Thanks!